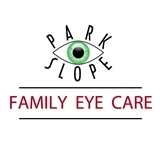 Park Slope Family Eye Care (Brooklyn) - Book Appointment Online! Dr. Arthur is a good doctor! I've been with him for several years and I think he is super easy to speak to. He answers any questions you have and gives you options for it all! I would totally recommend him.